Add lightning-fast search to your Help Center for a frictionless user experience. Create Help Center content discovery experiences that delight your customers with the official Zendesk Guide and Zendesk Guide Enterprise search solution. 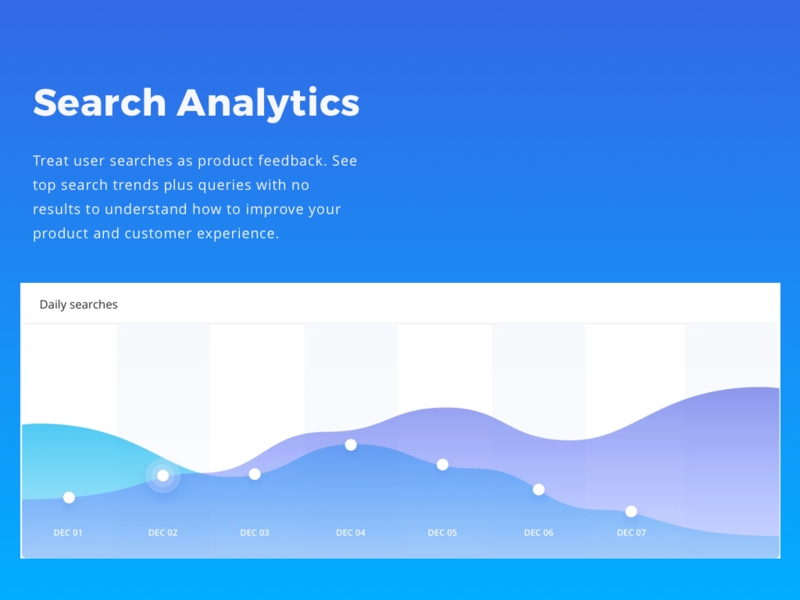 Algolia is an intuitive and user friendly search application that accelerates content discovery for Zendesk Guide and Zendesk Guide Enterprise users. In only a few clicks, you can now bring the power of Algolia to your Zendesk Guide or Zendesk Guide Enterprise Help Center. 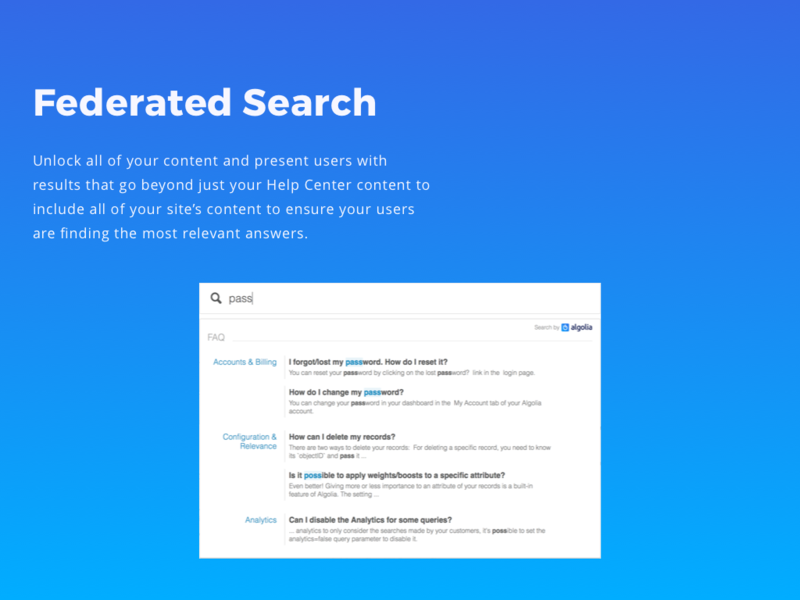 With Algolia, your search experience can go beyond Help Center content to enable a federated search experience to index and search all of your content, across multiple sites, domains, and even multiple Zendesk Guide implementations. A critical part of the search process in our Help Center is getting to the right or relevant answer, this is where Algolia helps...making it easier for customers to get their queries answered instantly. Try it live on Dashlane’s or Wisembly’s support websites. The only pre-requisite is to be able to access the customization panel of your Help Center (TEAM plan and up).